Starting in April 2018, every new car in Europe will have to be equipped with an integrated SIM card enabling vehicles to make an emergency call at any time in difficult situations. By becoming part of the digital ecosystem, cars will effectively turn into mobile devices. The technology company Continental will demonstrate how it is shaping this transformation during its premiere at the Mobile World Congress from February 26 to March 1, 2018. This entry was posted in Technology, Uncategorized and tagged Continental AG, integrated sim card, Mobile World Congress 2018, MWC 2018, predictive connectivity on February 15, 2018 by Tim Cosgrove. PEUGEOT has today unveiled the innovative Sea Drive Concept, created in partnership with global leisure craft expert, BENETEAU, at the Nautic Paris Boat Show 2017. Designed and built by PEUGEOT Design Lab, this unique concept combines the ergonomics of the PEUGEOT i-Cockpit® featured in its popular SUV range, with the connected Ship Control®technology developed by BENETEAU. The collaborative project illustrates a new way of designing a boat’s steering station, heralding the future of power-boating. The functional demonstrator showcases how the ergonomic design and innovative technology features of the PEUGEOT i-Cockpit® can be utilised not only for automotive interiors, but for a wider range of applications. PEUGEOT Design Lab was keen to explore new territories, resulting in the partnership between the two iconic French brands with a shared passion for innovation and bold thinking. The PEUGEOT i-Cockpit® design enhances the driveability of a car by increasing driver comfort and concentration. All of the characteristic components of the innovative interior layout used in PEUGEOT’s latest models are clearly visible in the Sea Drive Concept. The Sea Drive Concept’s interior comprises a compact steering wheel for easier, more agile handling, a large 17-inch touchscreen displaying the Ship Control® interface for easy access to the boat’s electronic functions, a folding panel displaying the main navigational information in the pilot’s line of vision in a similar way to PEUGEOT’s vehicle head up display and toggle switches on either side of the wheel for direct access to the main functions at all times. Elements of PEUGEOT design can also be seen in the concept’s build quality and choice of materials, which are based on its GT trim level, including Nappa leather, copper top-stitching and accents of chrome and satin. Jean-Philippe Imparato, PEUGEOT Brand CEO, said: “The PEUGEOT i-Cockpit® showcases the central values of the PEUGEOT brand – innovation, design and premium quality. It has revolutionised the interior of our vehicles with easily accessible controls and increased comfort for drivers. French sailing and motorboat brand, BENETEAU, has paved an innovative path in the boating world, setting up a research programme called Advanced Monitoring System (AMS) to centralise all useful information for on-board piloting, safety and comfort. This work led to the development of its Ship Control® technology. Ship Control® allows central control of on-board lighting, air conditioning control, navigation, battery and fuel level checks, electrical and bilge pump management, HiFi and engine speed and revs. For further information on PEUGEOT’s innovative i-Cockpit® technology and its full product range, please visit www.peugeot.co.uk. This entry was posted in Technology, Uncategorized and tagged Beneteau, Connected Ship, Paris Boat Show, Peugeot, Peugeot i-Cockpit, Sea Drive Concept on January 29, 2018 by Tim Cosgrove. Huawei, a leading global Information and Communications Technology (ICT) solutions provider, announced recently that the railway operational communications network it built for Kenya’s Mombasa-Nairobi rail project was put into commercial use. Huawei’s Digital Railway Solution enables multiple communications tasks, including mission-critical train dispatch, emergency communications, section maintenance communications, secure transmission, and ensures stable power supply along the entire line. The solution will meet customer requirements for safe, stable, and efficient railway operations and ensure highly reliable communications for the railway. As the first new line that has been constructed in Kenya for the past century, the Mombasa-Nairobi railway runs across Kenya’s territory from the southeast to the northwest, starting from Mombasa, the biggest port along the east coastline of Africa, to Nairobi, Kenya’s capital and the largest city in East Africa. The line has a pivotal role in East Africa’s railway network and has paved the way for standard-gauge rail links in the area. The line is part of a long-term plan to connect a vast network of rails from Kenya, through Uganda and Burundi, and up to South Sudan. This railway artery in East Africa will provide convenient transportation and promote regional collaboration, integration, economic growth, and social development. The high speeds and short departure intervals of modern railway require secure, stable, and reliable train operations. Huawei’s Digital Railway Solution provides the Mombasa-Nairobi Railway with a full suite of core systems such as a highly-reliable, industry-leading railway operational communications system, a large-bandwidth unified transmission system which adopts soft and hard pipes to protect train control and other mission-critical services, a modular and highly efficient power supply system, and an environment monitoring system which enables great scalability and intelligent management. The core systems ensure safe train operations. Huawei’s next-generation GSM-R solution has been deployed to build the train-to-ground communications network. With end-to-end redundancy backup and 99.999% availability, the network guarantees stable transmission of train control signals. Based on mature hardware platforms, the next-generation BTS3900 GSM-R base stations support smooth migration to LTE-R. The transmission network uses Huawei’s cutting-edge Hybrid MSTP transmission devices that support SDH/IP dual planes. The SDH hard pipes and IP soft pipes comprehensively bear multiple services without compromising the reliability of mission-critical service transmission. In addition, Huawei’s premium communication power supply and Uninterruptible Power System (UPS) products are installed to meet diversified customer requirements on backup power, ensuring high-quality power supplies for communications systems, data centers, security systems, and other critical loads. The safe and efficient operations of the Mombasa-Nairobi Railway will provide significant support for Kenya’s passenger and freight transportation, and thus the economic growth. At the same time, the Railway will bring East African economies closer to each other. To date, Huawei’s Digital Railway Solution has been deployed to serve more than 100,000 kilometers of railway worldwide. Major digital railway projects include those in Germany and South Africa, as well as high-speed rail lines in China and Spain. With innovative solutions and global delivery capabilities, Huawei is committed to building a better connected railway along with partners and customers in the rail sector across the globe. This entry was posted in Technology and tagged Digital Railway, GSM-R, Huawei, Mombasa-Nairobi Railway. LTE-R on June 13, 2017 by Tim Cosgrove. TechXLR8 is a festival of technology taking you on a journey, between networks, tech and consumer services. As the anchor event of London Tech Week; the week-long festival of live technology events in London, TechXLR8 showcases eight leading technology events: 5G World, Cloud & DevOps World, Internet of Things World Europe, Connected Cars & Autonomous Vehicles Europe, Apps World Evolution, VR & AR World, AI & Machine Learning World and Project Kairos. KNect365, a division of Informa plc, is the world’s leading facilitator of knowledge sharing and business connections. The KNect365 portfolio provides digital content, memorable face to face experiences, networking, and professional development and learning. This entry was posted in Technology and tagged London Technology Week, LTW, TechXLR8 on June 13, 2017 by Tim Cosgrove. 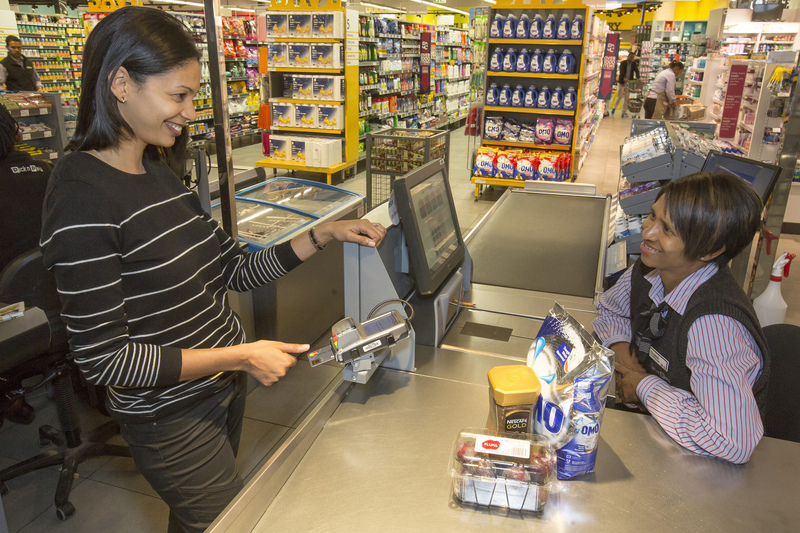 This entry was posted in Technology and tagged Biometric Card, Biometric Technology, Biometric transaction, MasterCard, Smart Parments on April 21, 2017 by Tim Cosgrove. This entry was posted in Technology and tagged health, IoT, Positive Health Wellness, Technology and Health, Wellness on April 3, 2017 by Tim Cosgrove. Bats have long captured the imaginations of scientists and engineers with their unrivalled agility, but their complex wing motions pose significant technological challenges for those seeking to recreate their flight in a robot. The study is titled “A Biomimetic Robotic Platform to Study Flight Specializations of Bats.” This research was funded by the National Science Foundation’s National Robotics Initiative. This entry was posted in Technology and tagged Advanced robots, Bat Bot, Bren Scholar, Caltech, engineering, flying robots, Soon-Jo-Chung on February 6, 2017 by Tim Cosgrove. The suitcase’s one-touch lid lifts to reveal a compartment for laptops and other electronic devices. By making the cmopartment separate, it’s faster to get electronics out of your suitcase, into a plastic bin, and through security scanning. (However, it’s not clear how much space the compartment takes away from the rest of the storage. The suitcase is currently selling on Indiegogo. This entry was posted in IoT, Technology and tagged autonomous luggage, autonomous suitcase, cowarobot smart luggage, IoT, smart luggage on November 24, 2016 by Tim Cosgrove. 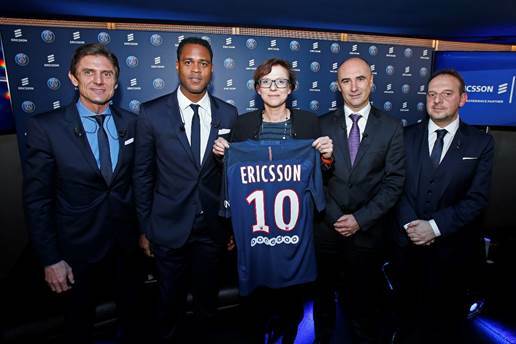 In a press conference held at the iconic Parc des Princes stadium, Paris Saint-Germain and Ericsson (NASDAQ: ERIC) announced their official partnership, focused on building the new digital experience of the Parisian club. With Ericsson’s expertise, the club will become one of the leaders of sports technology. This entry was posted in Technology and tagged Ericsson, Frederic Longuepee, Helena Norrman, Paris Saint-Germain, PSG, sports technology on November 21, 2016 by Tim Cosgrove.